STARKVILLE, Miss.- The Arkansas Razorbacks fell 52-6 on the road to a stout defense at Mississippi State. 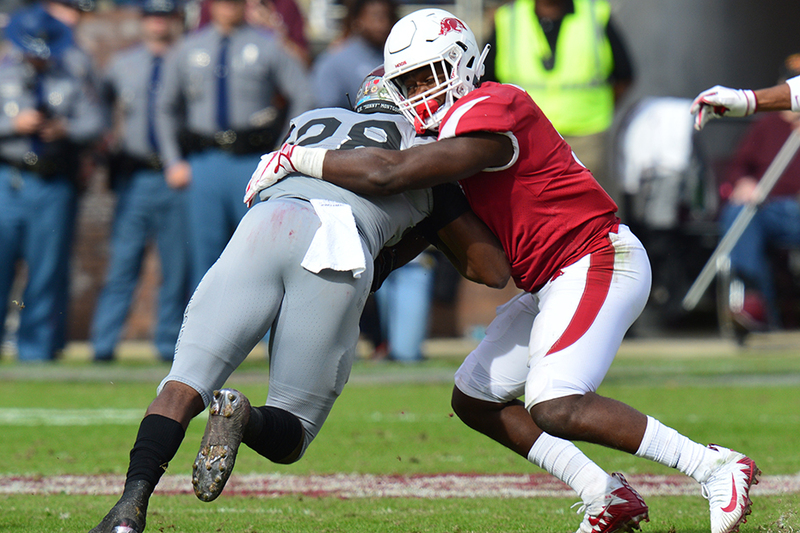 Following a Razorback fumble, the Bulldogs also fumbled the ball and Devwah Whaley recovered to give Arkansas a fresh set of downs. In his second field goal attempt of the day, Connor Limpert made a 36-yarder to put the Hogs on the board heading into halftime. Connor Limpert made a 32-yarder on the opening drive of the second half.